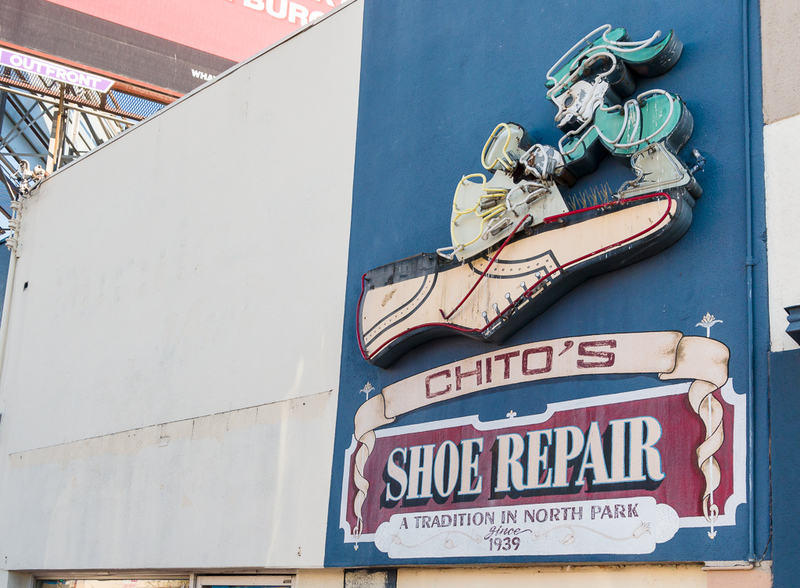 Chito’s new location is a block away on Lincoln Avenue, but they left behind their vintage neon sign. 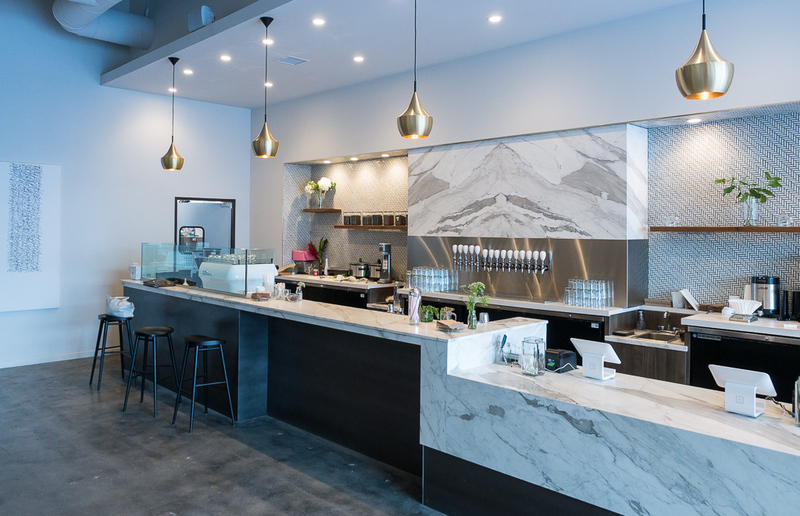 The 2,200 square-foot interior includes a long counter nicely dressed with white marble, tile backsplash and stainless steel. There is an elegant white La Marzocco espresso machine that looks great in the surrounding decor. A trash can enclosed by a service station, sits across from the main counter bar. This area may be a work in progress, but the fresh flowers help for now. The main seating area is open and inviting, there is no lack of natural light coming through the large front windows. 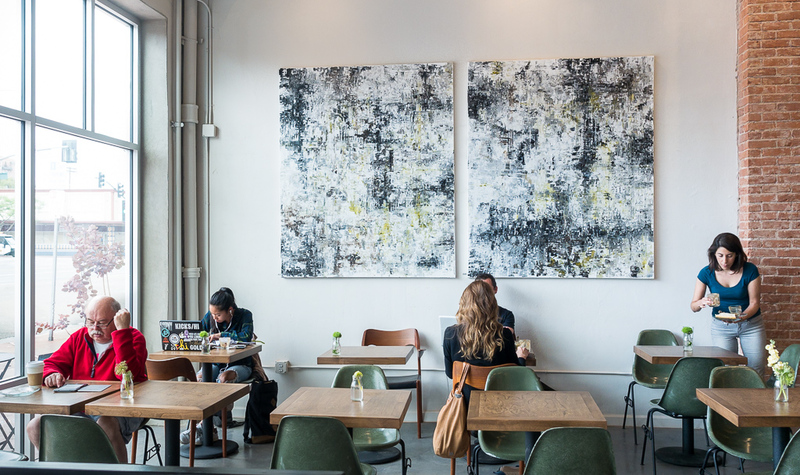 The diptych art piece by Brittany Segal, the mid-century chairs, the red brick column and fresh flowers wrap a nice ambience while sipping a coffee. 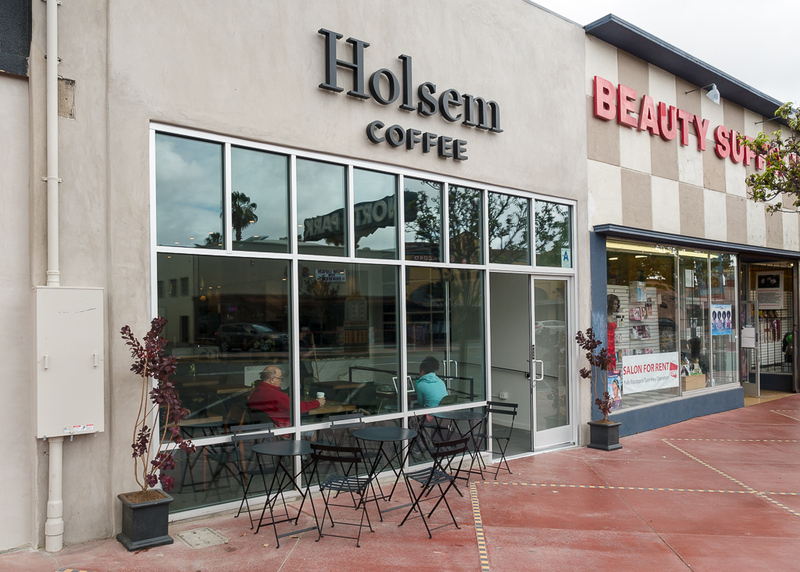 Holsem follows the Third Wave Coffee movement, where coffee is treated in an artisanal manner and not a commodity. 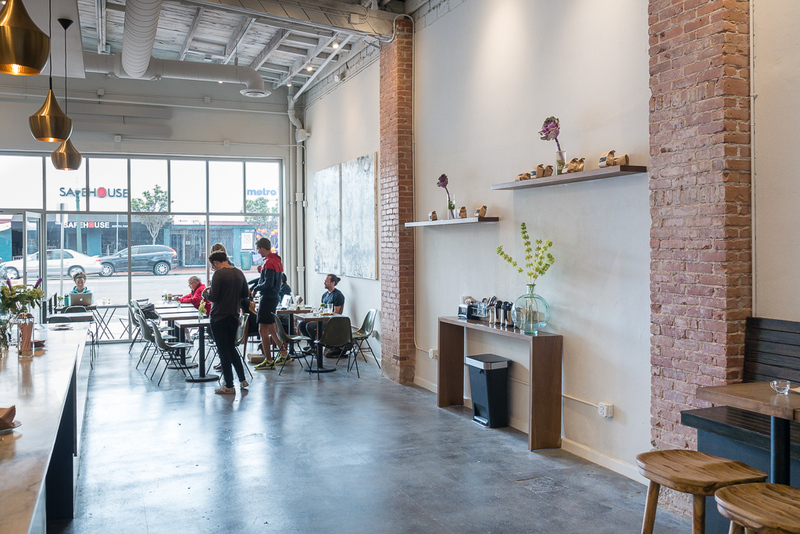 Their coffee menu includes a Holsem Blend, Espresso, Peru, Sidamo, Yirgecheffe, Kenya and Decaf. In addition to roasting their beans off-site, they have a creative cocktail-like non-alcoholic coffee drink menu. 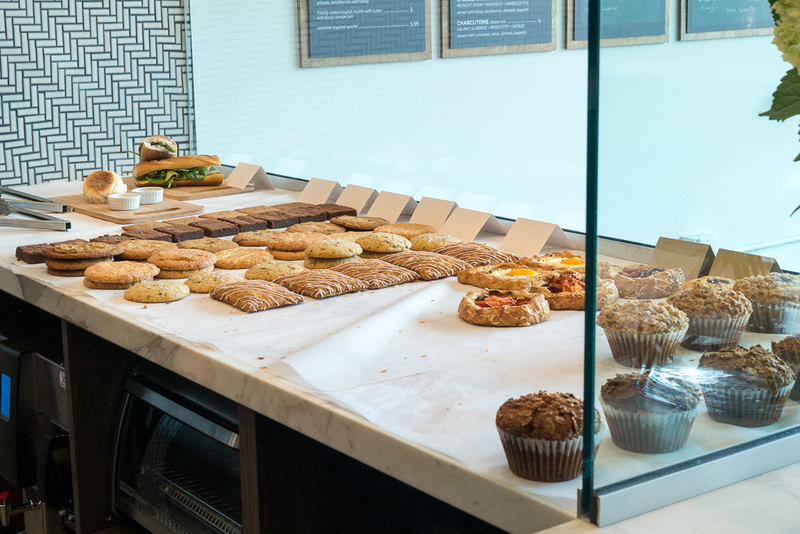 Housemade syrups, non-dairy milks, fruit extracts, and malts are used on their coffee offerings. 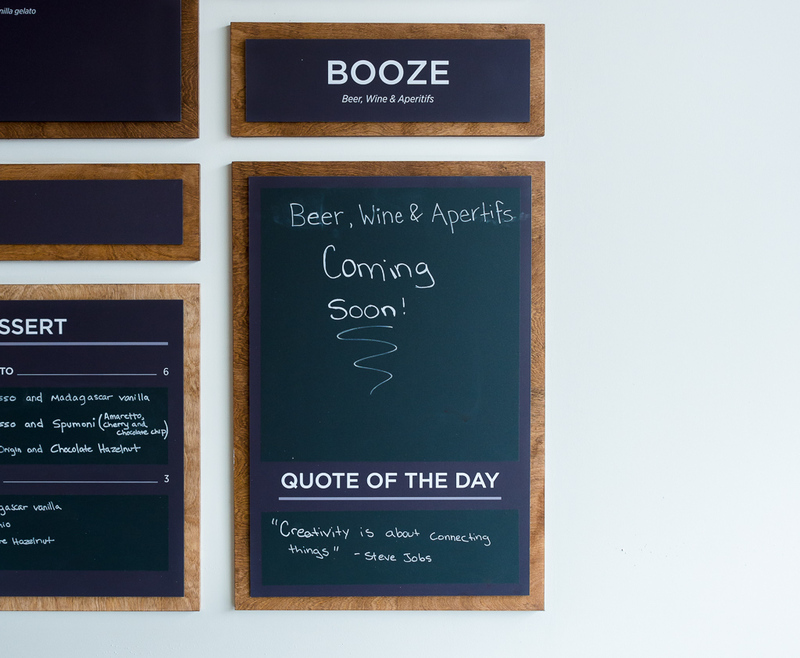 Craft beer, wine and pairing appetizers are in the near future. 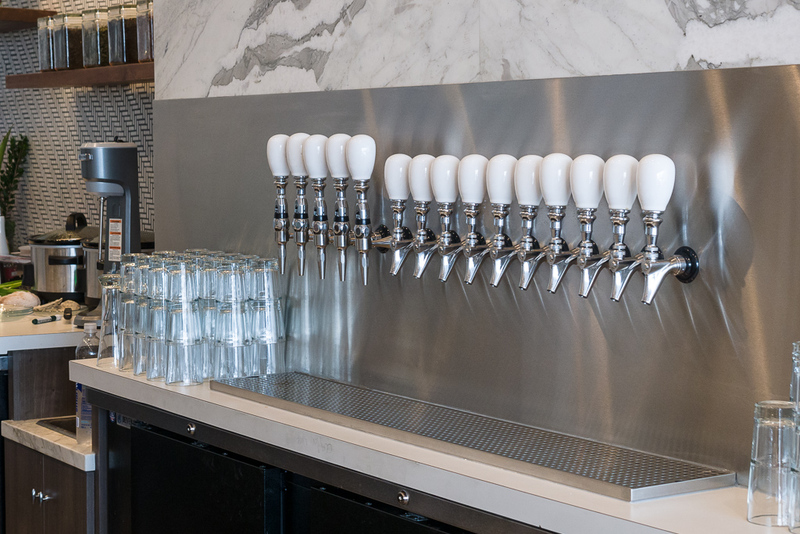 For now, the white tap handles and polished draft dispenser faucets look nice.